Kate Shugak has had months of relative peace, unbothered by the demands of her former profession. That's broken by not jus t a murder in the park, but a massacre one bright, sunny, Alaska-spring morning. Kate is the last person he comes after, because she's warned of the shootings and the fact that the man is headed her way. She and her wolf cross, Mutt, manage to take him down alive. There are nine dead. But did the man kill all nine, or only eight? One of the dead, a woman, was killed by a bullet from a different gun. Same type, same caliber, but not the same gun. Two killers, with the same type of gun, the same sunny morning? The woman killed by the second gun, unfortunately, had a host of people who might have wanted her dead, and they would all be local. 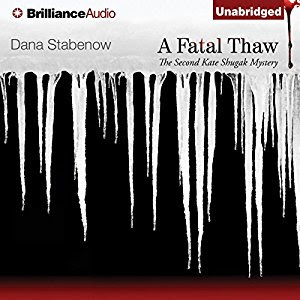 Kate gets the thankless task of finding, or not finding, this second killer. This is, once again, a story of character and intricate social ties, with the questions of who and why the keys that open those questions. Kate and her friends, family, and colleagues are complicated people, filled with virtues and flaws, and so are their neighbors and friends. A good read or listen. Recommended.